Do user invitations to join Flokzu expire? Every invitation made by a user will be valid for the next 30 days. Once the invitation expires, the user who was invited will not be able to access the account any longer. How can I re-invite a user? To re-send an invitation to a user, go to the ‘User Management’ section and then to the ‘Users’ tab. Next, click the ‘Invite Users’ button. 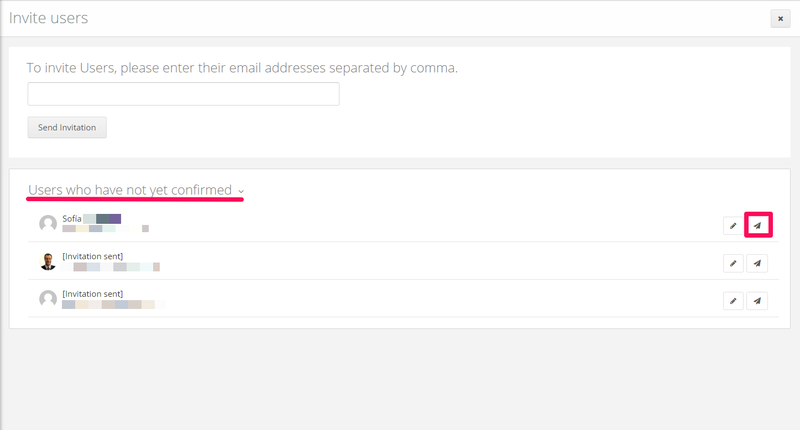 The list of users that you have already invited will appear under the section ‘Users who have not yet confirmed’. Click on the plane icon that will appear at the right of the users you want to invite again and they will receive a new invitation. What happens with users that have previously participated in my account? Important: If you have removed some users from your account and, later on, you choose to re-invite them, these users will see again in their Inbox all the tasks that were previously assigned to them before they were removed from the account.